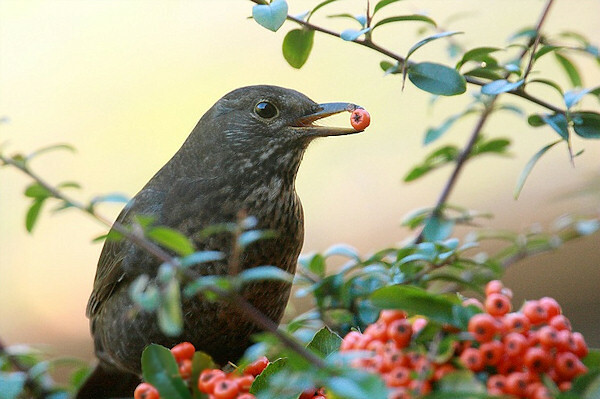 The blackbird is a member of the thrush family. The adult male is very easy to recognise - glossy black with an orange beak and rings around the eyes. 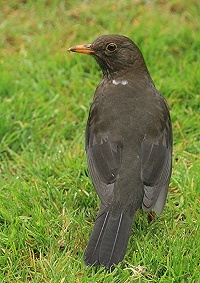 The female is dark brown, sometimes slightly mottled, with a brown beak. Juveniles are usually a more reddish brown and slightly mottled. Since we stopped the use of slug pellets in the garden, the blackbird population has thrived.